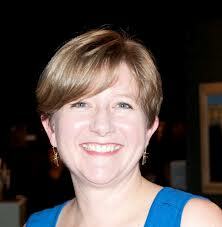 Jill Koverman, Chief Curator of Collections at the McKissick Museum in Columbia, South Carolina, died last week. She was an extraordinary woman, scholar, and friend. She had two young sons and a loving husband and an ongoing passion for a man named Dave. This was David Drake, of course, the Southern slave potter whose work she brought to the attention of the country in 1998. It was then that she curated an exhibition at the McKissick that was the first ever devoted to Dave’s work. Called “I made this jar . . . ,” it was a large assembly of his wondrous and varied pots, many signed and inscribed with original poems, items unique in Southern history. The show traveled to three other locations around the country. When, in 2000, it arrived at Winterthur, the great museum near Wilmington, Delaware, The New York Times published a major story on it, on Dave, and on Jill. I was a New Yorker at that time. I had never heard of Dave or his work. In the final paragraphs of the article, however, I discovered that my Southern ancestors, residents of the small South Carolina town of Edgefield, had been Dave’s owners. I was stunned. Jill met with me at Winterthur and we examined Dave’s pots and poems together. Though she had discovered that he was born in approximately 1801 and that he had taken the surname “Drake” after freedom came, we lamented that more information was not available about his life. Now filled with the same enthusiasm that propelled her, I searched my family papers—a full sack of them were from the 1800s—and, to my delight, found mentions of Dave. Among the papers were photographs of some of the men whose potteries he had worked in. I located pieces of china that had belonged to their wives. I had been a writer most of my adult life. Though I had published several books, I had never quite found a subject that was truly close to my heart. While I was waiting for a subway train one day, it suddenly came to me that I might write the story of Dave and my ancestors. I proposed a book to W. W. Norton, the New York publisher, and my proposal was accepted. “What wonderful news!” Jill wrote me. I moved from New York to Edgefield, where I began to research Dave’s life. Throughout the six years that I worked on the book, Jill was a constant source of encouragement. She gave me her list of all known pots by Dave, pots she had held in her hands, measured, photographed. She told me of all the known inscriptions by Dave. She made the McKissick files fully available. She was generous in every way. When Norton published my book in 2008, Jill organized a reception at the McKissick to give it a proper sendoff. After the party, she told me that she hoped to some day expand Dave’s story into a study of the other slave potters who had worked in Edgefield when he did. I saw Jill at a symposium on Face Jugs, which was held at the Columbia Museum of Art in December of last year. She was across the lobby at the welcoming reception. She looked thin but elated. She waved to me. When I managed to get through the crowd, I couldn’t find her. I wasn’t concerned, because I mistakenly thought that, crowded conference or not, we’d surely meet again. I missed her memorial service. I think she would have approved of my reason for not being there. I was in Augusta, Georgia, that evening, speaking on David Drake to a society of scholars whose work is focused on the South. I told them about my friend, Jill, about her unfailing enthusiasm and generosity, and about how she had sent out that call, many years ago, now, that changed the course of my life. This entry was posted in Dave the Potter, Edgefield Pottery, McKissick Museum, Southern History and tagged Dave the Potter, David Drake by leonardtoddconversations. Bookmark the permalink. Thank you for this wonderful tribute to Jill. Today would have been her 45th birthday. What a loss.